The Wellcome Library has several fine examples of traditional mandalas, each a bounty of heavenly palaces, cemetries, animals, flowers, divine retinues etc. Some are currently on display in Wellcome Collection as part of the Tibet’s Secret Temple exhibition. 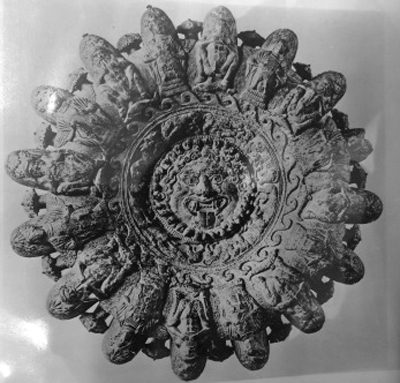 Mandala of the Buddhist deity Mahakalas. Distemper on linen, Tibet, 18th-19th century. Wellcome Library reference: 47096i. The recently acquired papers of translator Cary Baynes (Library reference PP/CBA) provide a Western interpretation of the mandala form. Born in 1886, Baynes trained to be a doctor before moving to Zurich and becoming involved with the Jungian psychologists there. She is best known for her translation of the Taoist classic the I Ching. Baynes was a personal friend and colleague of both Carl and Emma Jung and translated many of Jung’s works. One of the writers with whom she worked in Zurich as advisor, translator and general all round facilitator was the theosophist Olga Froebe-Kapteyn. 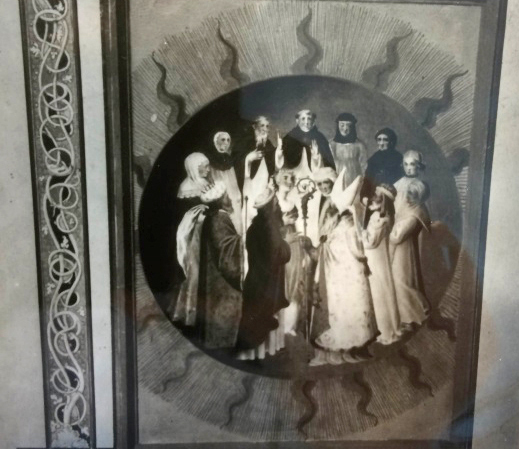 Baynes helped Froebe-Kapteyn with the Eranos project, which was concerned with the “science of the soul” and consisted primarily of a series of lectures held at her Ascona home. 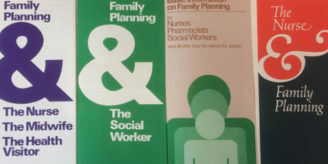 It also incorporated a series of publications and an images that are now part of the ARAS. Correspondence between the two in Baynes’ papers touches upon the mandala theme. Illustration collected by Olga Froebe-Kapteyn for an Eranos Anthology. Library reference:PP/CBA/A.1/3:Box 1. Froebe-Kapteyn believed that certain images were plucked from the collective human subconscious, things that were familiar to people everywhere. They fell into groups such as “The Night Sea Journey of the Sungod”, “The Great Mother”; “The Birth of the God”; “The Crucifixion” etc. Illustration collected by Olga Froebe-Kapteyn for an Eranos Anthology. 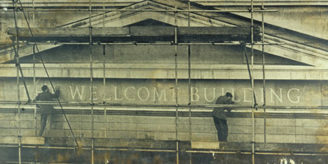 Wellcome Library reference:PP/CBA/A.1/3:Box 1. Under the title “Western Mandalas” are photographs of what she saw as the transcendental nature of the mandala. These, exclusively religious, images appear to match the symmetrical design of their Eastern counterparts: intricate shapes and designs circling a central point. For Baynes and her contemporaries these designs represented the ultimate goal of the inner centring process as an illustration of the ideal of harmony and balanced completion. 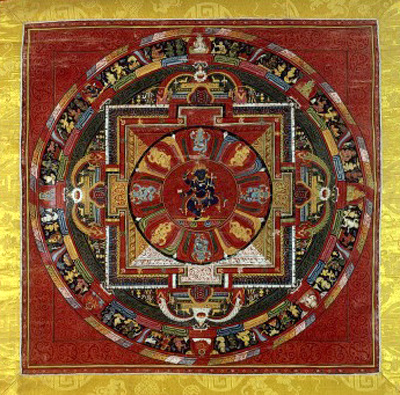 Jung himself was so enamoured of the idea of the mandala representing the perfection of the individuation process that he painted many samples of the form (see his Red Book) in his pursuit of inward harmony and integrity. 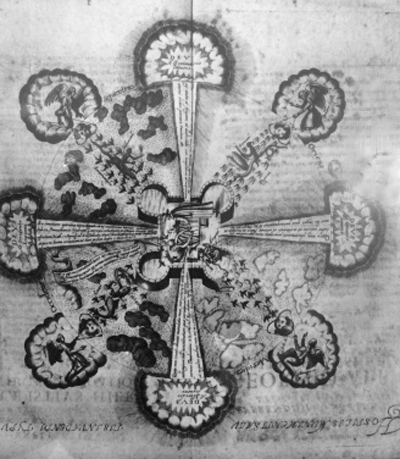 A somewhat more outlandish reading of the mandala as archetypal image can be seen in some of Jung’s later writings. He came to view the phenomenon of UFO sightings in the US as a manifestation of the collective desire for wholeness in the schizophrenic and schismatic Cold War era. The Western psyche had a hunger for wholeness and this was being answered by mandalas from outer space (for more on this theme – see Gary Lachman’s book Jung the Mystic). If you would like to find out more about Western mandalas, individuation or the metaphysical relation between man and the universe you may consult the Cary Baynes papers in the Wellcome Library. If you’re visiting London, you can also see Tibetan monks making a traditional sand mandala at Wellcome Collection from 16-23 January 2016.